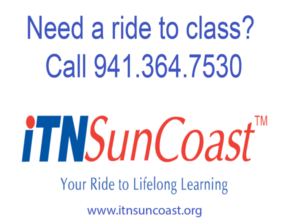 Why Become a SunCoast Alliance for Lifelong Learning (SCALL) Member? Drive more Awareness and Participation (fill empty seats and fuel expansion for sustainability) in lifelong learning programs. Increase potential for sponsorships/alliances for special events and unique offerings. Realize potential savings on marketing/advertising/community outreach efforts. Help raise the profile of our community as a Leader in Lifelong Learning on a par with beaches/climate and arts and culture (a third leg of the proverbial stool). Help inform community leaders of the Economic Impact (e.g., jobs, rentals, insurance, fees, social get-togethers) provided by lifelong learning programs.